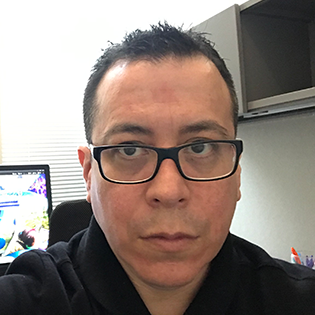 Adrian Apodaca is a creative, detail-oriented and multitalented senior graphic designer with 20 years of experience in multimedia, marketing and print design. He is up-to-date with new and cutting edge technologies and design concepts. Adrian has been at NSF since 2006 where he maintains NSF’s brand identity. He redesigned the NSF logo in 2008 and recently rewrote and expanded the logo usage guidelines that he published alongside the redesigned logo to include more detailed information on branding. Adrian creates web and print products such as infographics, publications, brochures, posters and tradeshow booth designs. He works closely with his team and is at the service of OLPA and the office of the director.